You just can’t make a delicious Jamaican curry dish, Without a curry powder. Actually, all recipes have some unique spices used as the main ingredient and that is the best part of that particular recipe. All the flavours and taste come from that particular spice or the mix of spices. Jamaican Curry Powder Ingredients are very easily available in every kitchen and easy to make. Jamaica’s love their curry. Most people Jamaica use to make their curry powder at Home only. The Concept of “Curry Powder” came from the influence of Indian cooking. And this concept Transferred to the Caribbean island by the workers in 19 th century. Indian curry powder is known as curry powder also. But Jamaican curry powder is a bit different from Indian curry powder. The Jamaican curry powder and Indian curry powder both are different from each other by the taste. They are different by only one of the Ingredient which is is “AllSpice“. Allspice as a main curry powder ingredient used in Jamaican curry powder. And in India, they never use Allspice as their curry powder ingredient. The main ingredient is cumin and coriander(cilantro) seeds and dried Red chilli. How to use Jamaican Curry Powder Ingredients? You can add separately Scotch Bonnet or Habanero peppers to any dish. peppers.versions of store bottle Jamaican curry powder is very useful for daily cooking in busy days. But you will get better flavours from the spices when you use whole spice seeds only. So every time I love to use whole spices to make my homemade curry powder. I have made another recipe From Jamaican cuisine is “Jamaican curry goat recipe”.This flavourful Jamaican curry powder is the key ingredient of this recipe. So, I am making this powder. So want to make a DELICIOUS JAMAICAN RECIPE?. You Must Learn what curry powder ingredients you must need to make an authentic Jamaican curry powder. My Homemade Jamaican curry powder will add unique flavours to your any Jamaican curry dish. 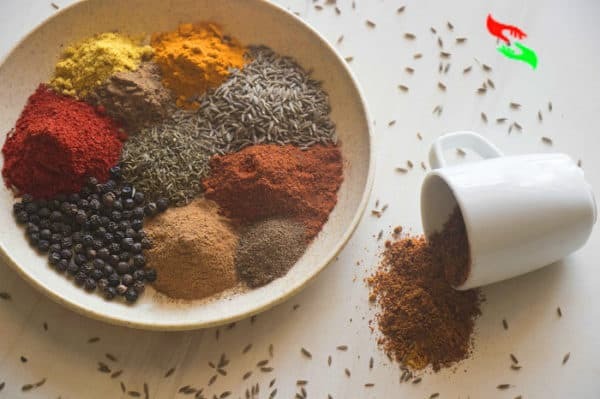 Learn what curry powder ingredients you must have to make a TASTY JAMAICAN CURRY POWDER RECIPE FOR DELICIOUS RECIPE Everytime . And blend all the things to make a fine powder. Once blending process is done.You can use your homemade Jamaican curry Powder to your any Jamaican Recipe. Very soon I will Post the recipe of Jamaican jerk chicken recipe. Also, I will post the homemade Jamaican jerk chicken spice blend recipe. Which you can store in the refrigerator for a long time. And I am sure the spice blend would be more fragrant what you get from the store. Thanks for your quarry. I would love to help you. How do you make Jamaican Jerk chicken?